s legendary B25 Superposed now with the modern performance advantage of a Low-Profile receiver. The new 725 receiver is significantly lower than other Citori 12 gauge receivers yet the 725 shares the renowned durability of generations of Citori over and unders with the same rugged full-width hinge pin and tapered locking bolt design. 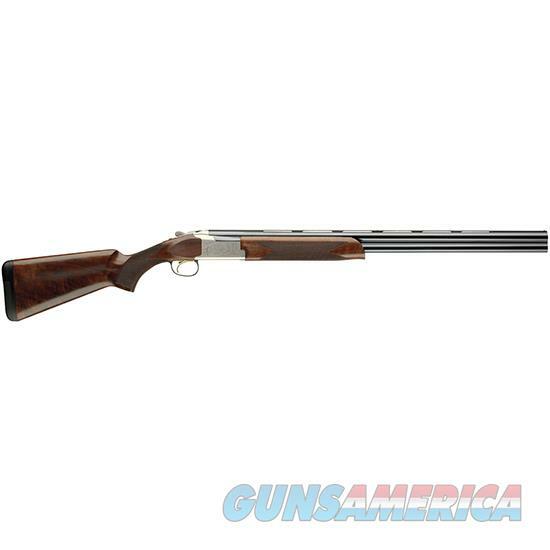 - With a 725 you get the one with the gun feeling you want with the long lasting durability you expect from a Browning over and under. And the features don't stop there. The 725 showcases an all-new Mechanical Trigger (FireLite) that offers unmatched feel and lighter pull weights than ever before. Inflex Technology has also been added to make shooting more comfortable. And the new Invector-DS choke system moves to a new level of performance. Experience the benefits these improvements can do for your shooting with a new Citori 725.